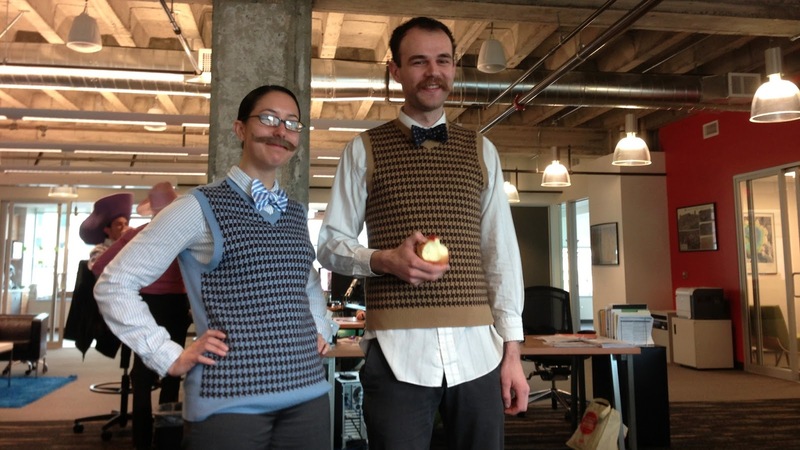 A typical day of shinanigans at WSI with a lot of people dressing up as twins in the office. I found out that half the office seems to have bought maroon sweaters that they all love to wear overtop a white collared shirt. Anna dressed up just like Anderson although their mustaches were pointed in opposite directions. 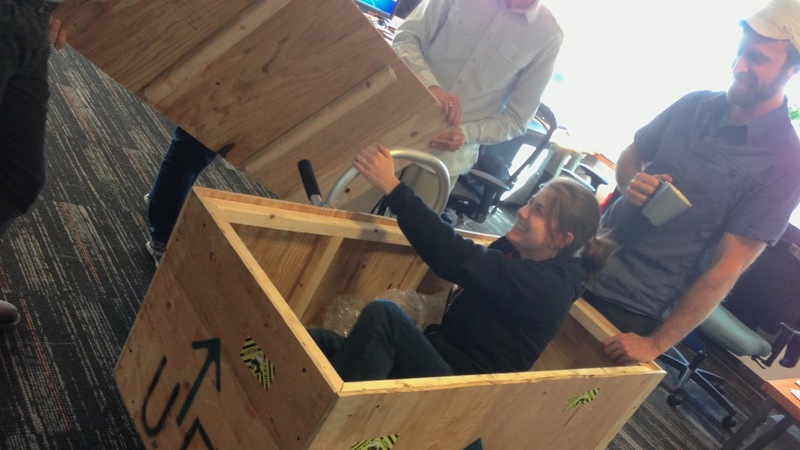 There was also a unique delivery to the office next to my desk of Erin. Not sure where she came from but she was definitely in a giant wooden box that had been screwed shut... pretty trusting.